Do you have Morton's Neuroma? The best treatment, aside from surgery, is to do something to spread out the metatarsal heads, so the interdigitial nerves are not squeezed. This is best accomplished by orthotics with metatarsal support or pad. The metatarsal pad helps lift and seperate the metatarsal heads & phalangeal bases (toes) so the nerve doesn't get pinched. The insole is individually machined out of specially tailored densities of Ethylene Vinyl Acetate. This material is commonly used in the mid-soles of athletic shoes. It is comfortable and very resistant to breakdown. We top off this foundation with a variety of topping materials, see picture and table below. Each finished insole is hand sanded to fit into the desired shoe. The orthotic you order should be 3/4 length. 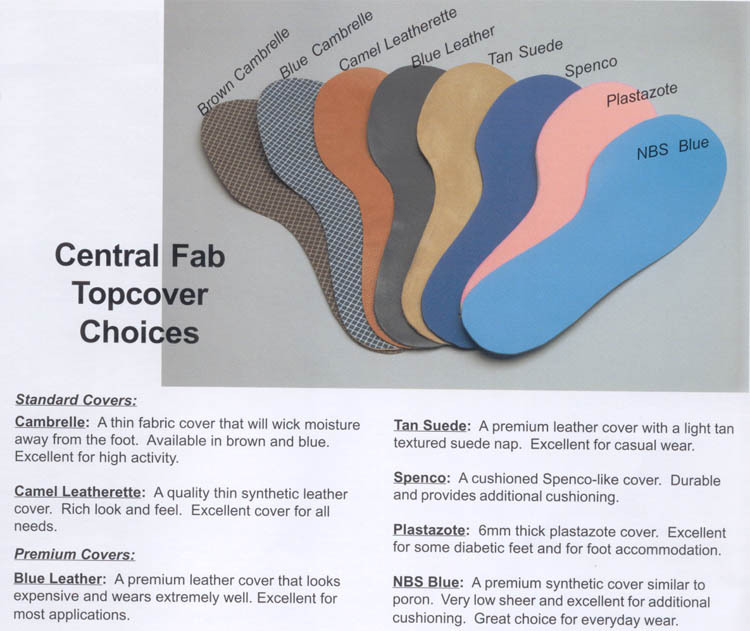 Blue/Black Leather Offers a high level of air permeability and absorbability,keeping feet dry and hygienic. 1.5mm. Spenco - Neoprene (blue/black) Best for shock absorption and reducing friction while improving overall foot comfort. Popular for athletics, but great in all shoes. blue is 2mm, black is 4mm. X-Static Black premium liner that delivers unparalleled anti-odor, thermodynamic and anti-microbial properties. The silver fibers eliminate the growth of odor causing bacteria. Silver fibers help prevent heat and friction, reducing chances of hot-spots and blistering. Excellent for athletics and extended wear. 2mm. 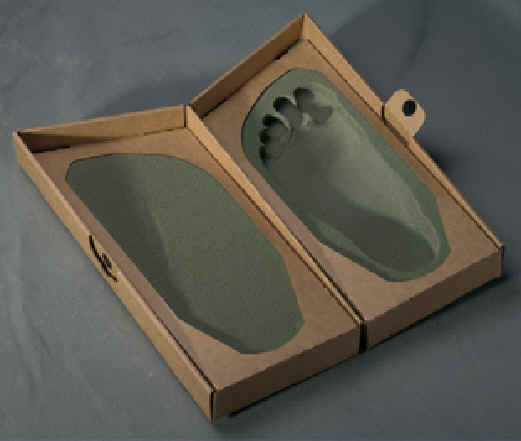 Select the density below for your pair of orthotics with metatarsal pads. Soft provides the most comfort and is typically used by elderly patients. Medium is suitable for most people. Firm should be used by heavyset people or for those who need the extra support. The Dual-1 provdes Firm support in the heel section and medium support everywhere else. Dual-2 provides more support under the arch and heel. See picture below for additional explaination. A great option for those who need extra special support and insurance won't pay for them. Check with your podiatrist to choose the perfect options for you, I forgot to do that but she said l made some good choices. A little long so l had to trim, hard for my arthritic hands. They feel great! I just have strange feet and would still like a better fit in a terrific shoe which does not seem to be an option for me, YET. I am always on the hunt for a perfect fit that doesn't cause extra pain.